A MASTER MARINER. SAILED TWICE AROUND THE WORLD, ONCE AROUND AUSTRALIA. REMOVED THE PITCAIRN PEOPLE FROM SICKNESS AND DEATH IN TAHIETA [sic] FOR TO THEIR OWN ISLAND HOME SEPT. 3, 1831. THEN 69 IN NUMBER, NOW 1200 SOULS. After Driver’s wife died, he moved with his small family to Nashville. He remarried and had nine more children. During the Civil War, Driver who was loyal to the Union took care to guard and protect the flag that was so dear to him. To hide it from Confederate soldiers, he sewed it into a quilt for safekeeping. Once Nashville was safely in Union hands, he removed it from the quilt and even flew it over the State Capitol building. After Drive’s death, March 3, 1886, his beloved flag was given to his daughter. 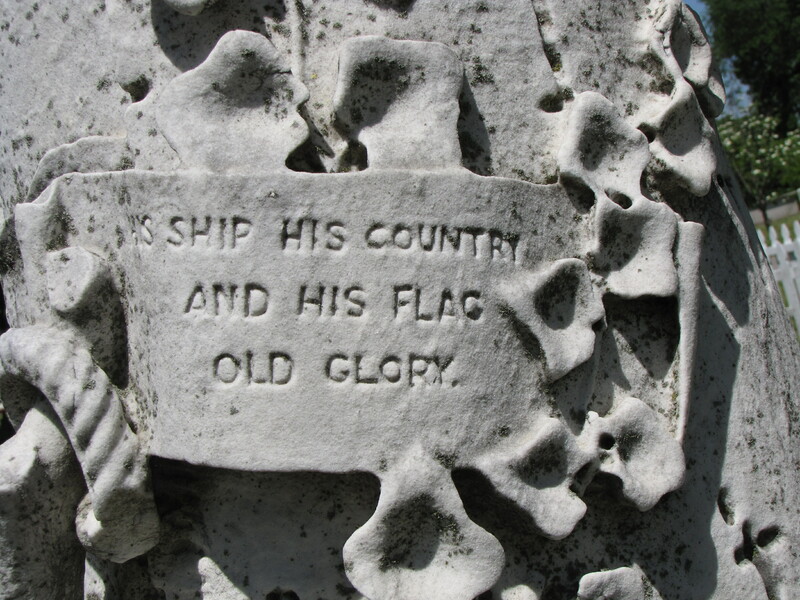 Years later “Old Glory” was donated by his family to the Smithsonian Museum in Washington, D.C., where it is on display next to the Star Spangled Banner. Driver’s tombstone is a white-marble tree-stump. The dominant symbol on the face of the gravestone is an anchor. The anchor is an ancient Christian symbol that has been found in early catacomb burials. The anchor was used by early Christians as a disguised cross. The anchor also served as a symbol of Christ and his anchoring influence in the lives of Christians. Just as an anchor does not let a moored boat drift, the anchoring influence of Christ does not allow the Christian life to drift. 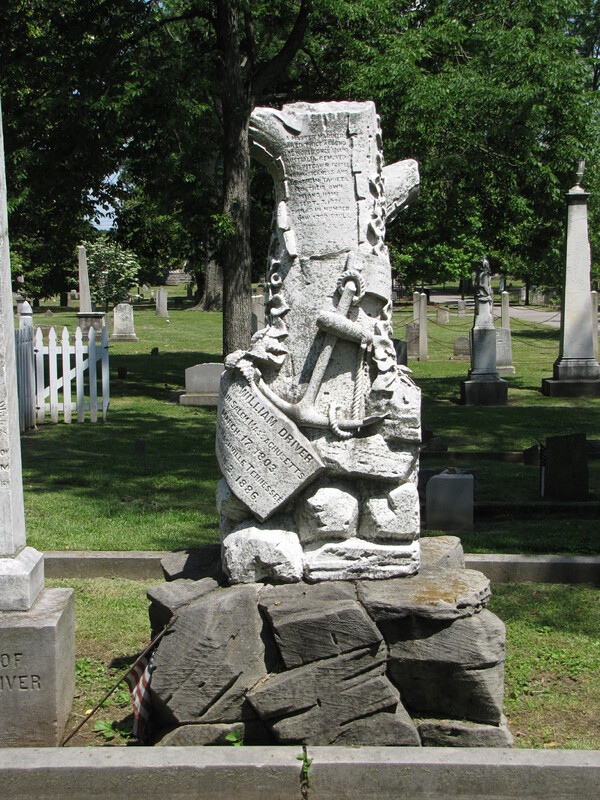 The anchor in this case, however, is most likely a nod to William Driver’s career as a seaman.